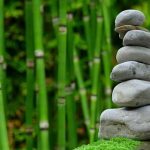 Join in activities to reduce stress, increase resilience, take mindful work breaks and more. 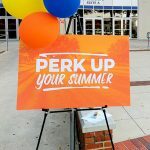 If you missed our Perk Up Your Summer event in March, you can still find details about area summer camps on our Summer Camp Directory, published this month. UFHR Communications and Worklife is pleased to provide this quick-and-easy reference for parents. 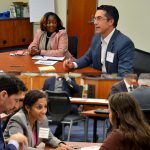 If you’re looking to boost your leadership skills and expertise, you may be the perfect candidate for one of UFHR Training & Organizational Development’s yearlong immersive leadership programs. 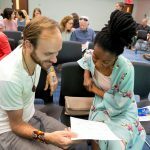 On Monday, April 1, the University of Florida will host UF Mindfulness Day, a daylong event focused on the intersection of mindfulness and social change. The event, which will be held at the J. Wayne Reitz Union from 8:20 a.m. to 7 p.m., will feature topical talks, mindfulness meditation, yoga and compassion practices throughout the day. Did you know March is Florida Bike Month? As part of the awareness month, UF’s Office of Sustainability is hosting a number of events for UF faculty and staff, including Bike to Campus Day on Wednesday, March 27, which will celebrate bicyclists who cycle-commute to campus.